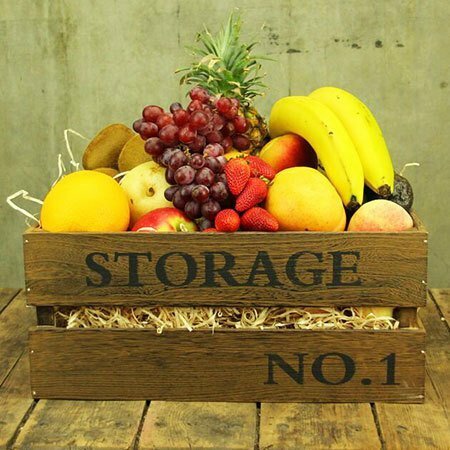 A classic Xmas fruit hamper featuring fresh seasonal fruit beautifully presented in a rustic, reusable timber crate and adorned with festive ribbon. A perfect Xmas gift to send corporate clients as well as friends and family, with or without flowers! Order your fruit hampers for Xmas online or give the Flowers Elves a call on 1800 66 66 46. PLEASE NOTE: Orders must be placed by 12 Noon Monday to Friday for same day delivery. Xmas fruit hampers delivered Sydney metro region only. Limited edition Ecoya Xmas candle while stocks last (otherwise alternative candle to same value will be substituted).